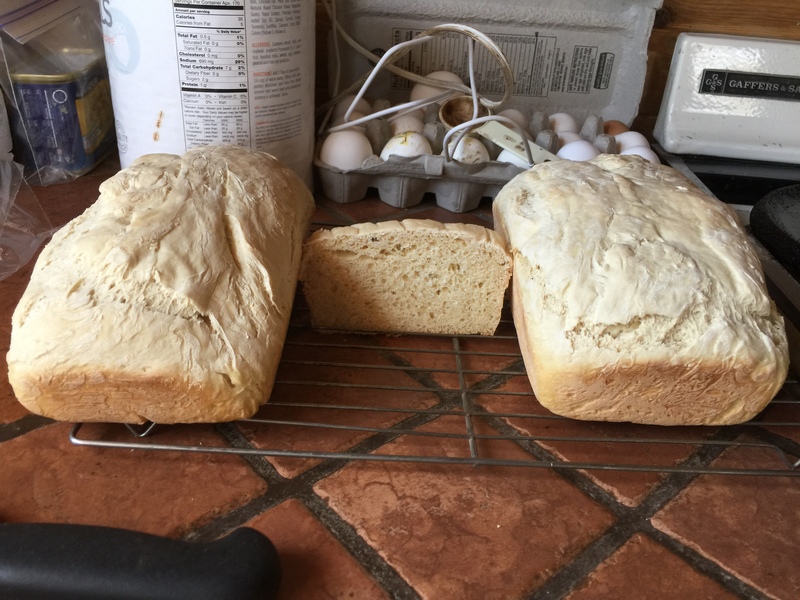 I bake bread once or twice a week, more or less on autopilot, and gradually I slide into bad habits. Lately it seems I’ve been letting the dough rise too long. I get a nice rise, punch it down, divide it, let it rise again in the bread pans … and then it falls in the oven. And that seems to have worked.